Riesling, because of its purity, has a tendency to show cork taint more than other varietals. This is why you often see Rieslings–yes, even some higher priced ones–finished with screwcaps. Corks are still widely used as well and both have their advantages. 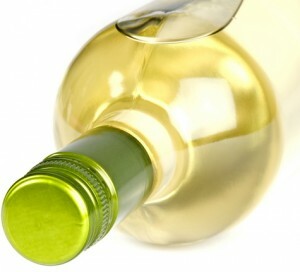 Screwcaps are thought by some to be better at preventing oxygen from entering the bottle. The less oxygen, the fresher and more crisp the wine. Also, bottles finished with screwcaps can be stored upright. Cork–both those made of natural cork and those made of synthetic materials–also do an excellent job of preserving wine. And, of course, there is always the enjoyment of the tradition of uncorking a bottle of wine. Bottles finished with natural corks should be stored on their sides, so that the wine stays in contact with the cork. The important thing to know is, when it comes to Riesling, either type of closure is fine. Fine Rieslings are as likely to be finished with screwcaps as corks. The choice usually comes down to the preference of the producer and/or the traditions of the region.